The trust is recruiting enthusiastic and motivated HCPC-registered occupational therapists to join its expanding teams across its sites. What can you tell us about occupational therapy at King’s College hospital NHS foundation trust? Our occupational therapy department is set within a multi-therapy suite working alongside physiotherapy and speech and language therapy. With more than 100 members in the OT department, we have a sound professional structure, including a lead occupational therapist and a range of clinical specialists, many of whom are leaders in their field. The department has a well-established tradition of supervision, appraisal and supporting continual professional development, which ensures that our occupational therapists have plenty of opportunities to develop skills, knowledge and experience at all our sites, and to reach their full potential. Our occupational therapy service mainly treats inpatients or patients who attend the emergency department. Patients may present with a range of diagnoses including neurological, orthopaedic, medical, trauma (including major trauma), critical care and surgical conditions. We also run an outpatient hand therapy service, neuro-outpatients and an outpatients day clinic for older people. In which areas are you looking for occupational therapists to join you? Occupational therapists will be joining in either band 6 rotational posts or band 7 specialist posts, covering medicine, surgery, elective orthopaedics, stroke, critical care, neurosurgery, neuro-rehabilitation, and elderly care. There is also the opportunity to join our rotation schemes which last eight months and offer opportunities to increase clinical skills and knowledge in a range of clinical areas across a variety of specialities and sites within the foundation trust. We’re looking for enthusiastic and motivated HCPC-registered occupational therapists from Kent, Surrey, Sussex and the surrounding areas. Also, we’re welcoming applications from overseas OTs. Bringing in experienced candidates from other countries is a great way for our teams to share different ways of working. Why should occupational therapists want to work with you? King’s College hospital NHS foundation trust is one of the country’s leading teaching hospitals, and a dynamic and forward thinking place to work. Our occupational therapy department has an excellent reputation and the trust values the profession and continues to invest in OT services. We’re proud to offer an excellent learning environment, with easy access to the medical school library and other training facilities. We can offer a wider range of specialities than most NHS trusts and always support and encourage continuous professional development. What kind of training and development opportunities can they expect? Our rotation schemes offer excellent opportunities for you to develop your clinical, managerial and educational skills. In addition to gaining a broad range of experience across different areas, you will have automatic access to excellent clinical supervision from experienced occupational therapists across a range of specialities. We also give our OTs £300-400 each year to spend on courses to support their career development. We are always keen to support our occupational therapists with research and development and have a track record of success in this area. Some of your occupational therapists will be based at your Princess Royal University hospital site. What can they look forward to there? Princess Royal is a fantastic hospital in Bromley, with a close community feel. As well as being a friendly and supportive environment, there’s a diversity of areas for staff to grow their skills in, including neurology, stroke, rehabilitation and working with patients with complex needs. Our current OTs tell us that they love being local, and being able to help their own communities. King’s College hospital NHS foundation trust places a high value on occupational therapy and continues to invest in expanding the OT team on this site. It is therefore an incredibly exciting time to join the team and would suit candidates wanting to progress their careers and become tomorrow’s clinical leads. The trust has grown considerably over the last year. How have services expanded? 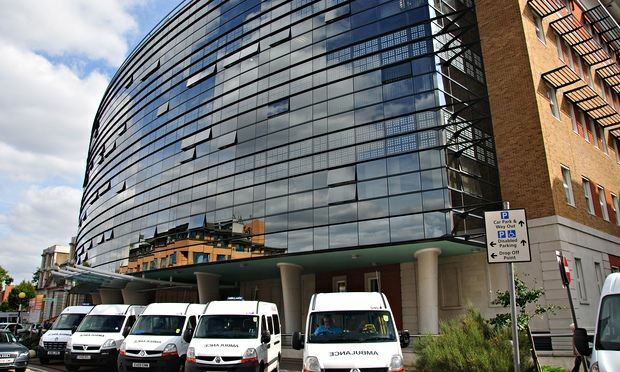 With the intention of benefiting patients, staff and the local economy, King’s College took over responsibility for the Princess Royal University hospital and Orpington hospital in October 2014. In addition, we began running clinical services at Queen Mary’s hospital and Beckenham Beacon. The trust is committed to delivering high quality, effective patient services from all our hospitals, and we plan to build on the reputation for excellence developed over many years at our main hospital site in Denmark Hill. As a result the size of the teams is increasing which allows us to provide new and exciting opportunities for talented candidates. Finally, what are your goals for the future? We’re continuing to consolidate our facilities, so that King’s College hospital NHS foundation trust will become one firmly united hospital across multiple sites, with a single goal – to provide a high-quality service for all. As one trust we can offer a wider range of services, more effectively, more efficiently and closer to home. Meanwhile, restructuring our services will help us to address any future financial challenges. We aim to reduce waiting times and, by developing and extending our specialist care networks across a wider geographical area, particularly in Bromley and Kent, we’re helping to improve and develop the local healthcare system. It’s all about providing first rate care for patients, and new and exciting opportunities for staff. Content on this page is produced and paid for by King’s College hospital NHS foundation trust.